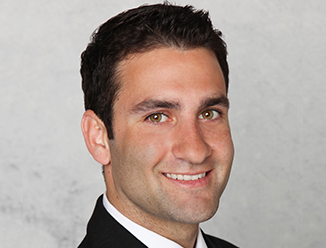 Danny Diaz is a Senior Associate at CBRE who focuses on providing brokerage services to retail property owners, landlords and tenants throughout South Florida. Over the course of his decade-long career, he has completed more than 100 retail transactions with an aggregate value of over $80 million. His assignments vary in scope and complexity, and include small shop inline space leasing, big box retail stores and lifestyle centers. With partners Senior Vice President Paco Diaz, a 30-year veteran in South Florida’s retail market, and brother Patxi Diaz, Mr. Diaz is part of a bicultural and bilingual family team that is uniquely equipped to understand all the different nationalities that make Miami – and South Florida – a diverse and dynamic region. Significant assignments for Mr. Diaz include leasing a one-million-square-foot retail portfolio in Miami and Broward counties on behalf of Kimco Realty. On behalf of developer Related Group, he also achieved 85% occupancy in 18 months in the pre-leasing of a new 23,000-square-foot mixed-use center in Ft. Lauderdale’s Flagler Village district. Other notable clients include Benenson Capital, USAA Real Estate Company, Mill Creek Residential Trust, EdR Trust and MMG Equity Partners. Prior to joining CBRE in 2012, Mr. Diaz was responsible for leasing a portfolio of approximately 500,000 square feet with a local retail property management and leasing firm. During this time, Mr. Diaz re-tenanted a 100,000-square-foot- Hialeah shopping center, bringing the property from 82% to 97% in an 18-month period. Mr. Diaz, who has been named CoStar Broker of the Year, has reputation in the industry as a driven professional with a passion for service excellence and successful retail leasing experience. His role covers client reporting, prospecting, lease tracking, negotiation, market and financial analysis. Click here to view Danny's video introduction. Landlord representation on a ±764,000 SF, seven-property retail portfolio in South Florida.